The best massage service in East London! 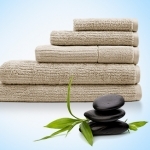 Top beauty treatments and Massage therapy! Relaxing, therapeutic, healing and sensual Massage and Beauty care !!! Is your business listed for Joanna And D in UK?